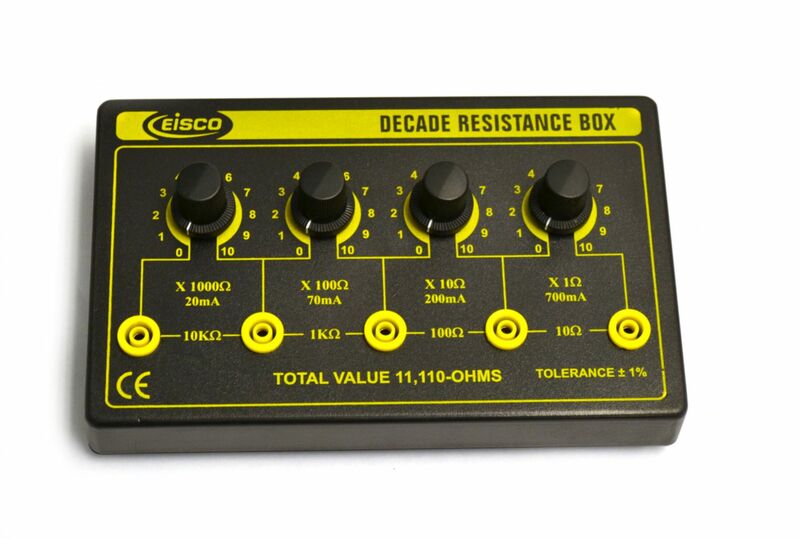 This decade resistance substitution box provides 4 decade ranges as given below and total value 0 to 11110 Ohms with a resolution of 1 Ohm. Each decade is selected using rotary switch. 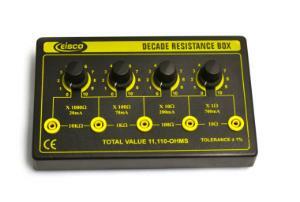 All resistance values are of ±1% tolerance and with 0.5 watt resistors, 0.5555 watts is the theoretical maximum.